Document your heritage! 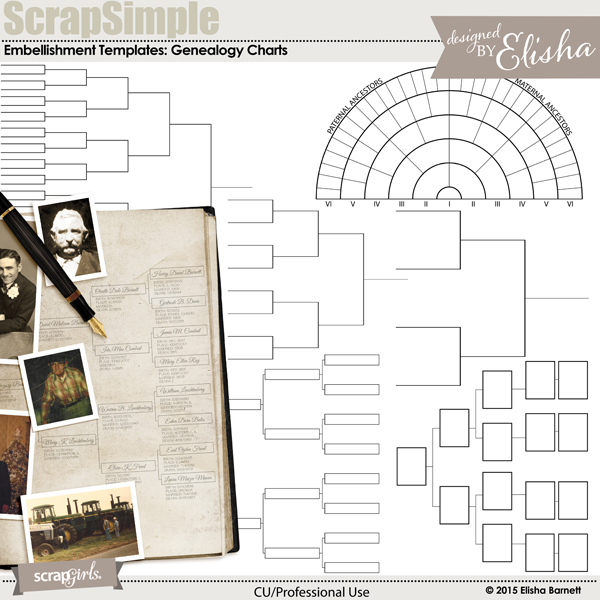 Scrap Simple Embellishment Templates: Genealogy Charts is a variety of family ancestry tree charts for documenting your roots with multiple generations. Individual PNG files - some with separate photo masks and text prompts. Backgrounds include collaged census records, marriage records, draft records, ship's log, antique advertisements, and family tree. 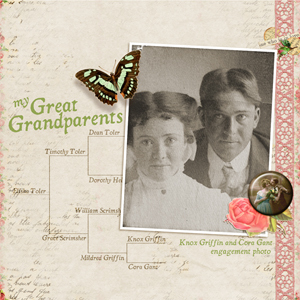 Family Records templates customizable for your family heritage pages. 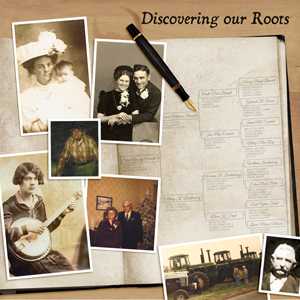 Are you the family historian? Use these silhouette templates to enhance your family pages. Build your own custom family tree . Stump, trunk, limbs and branches are separate png files so you can put your family names, photos, dates, or journaling in custom areas of the tree. These papers will give an aged, vintage-looking foundation to your project. The Generations Collection is the base collection of coordinating backgrounds and embellishments ideal for your heritage scrapbooking. 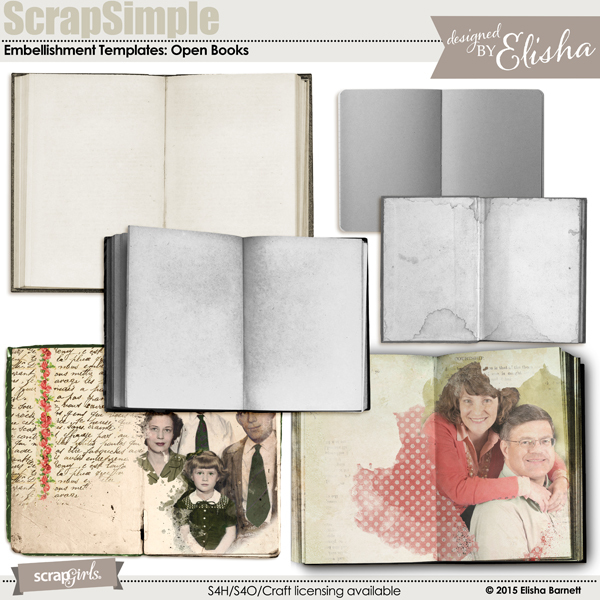 Create your own open books, sketchbooks, scrapbooks! Simply recolor or clip your papers and photos to make customized embellishments for your projects. Just like your great grandmother's photo or postcard album where she tucked the photos into the slits in the pages. Simple and elegant.